Tickets to two popular Charlotte events are going on sale. The America's Most Wanted Music Festival is coming to Verizon Wireless Amphitheatre on Friday, September 4 (Labor Day weekend). 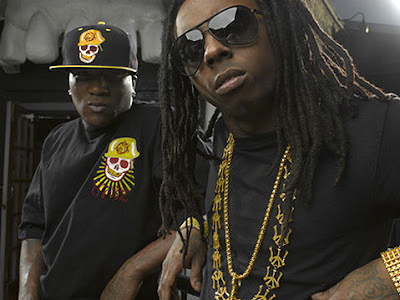 The show stars Lil Wayne, Young Jeezy, Soulja Boy, Drake, and Jeremih. Tickets go on sale today at 10 a.m. at www.livenation.com and prices range from $29 to $79. The other big ticket sales event takes place Saturday, August 1 at 10 a.m. That's when about 7,000 single-game tickets for each of the Carolina Panthers’ 2009 home games go on sale at www.ticketmaster.com. Scoring Panthers tickets is a big deal since most home games usually sell out. Last year four games sold out on the first day of single-game ticket sales. You'll be limited to buying a maximum of four tickets per game. Most of the available tickets will be upper-deck seats at $51 each, and there will be a few lower-level seats available at $90 each. The other 60,000-plus seats in the stadium have already been snatched up by season-ticket holders. 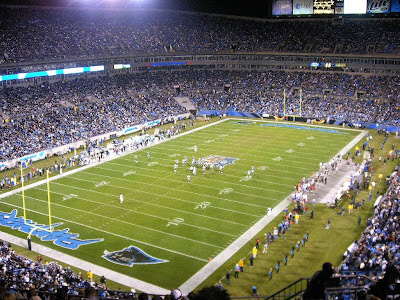 The season opener is September 13 when the Philadelphia Eagles visit Bank of America Stadium.